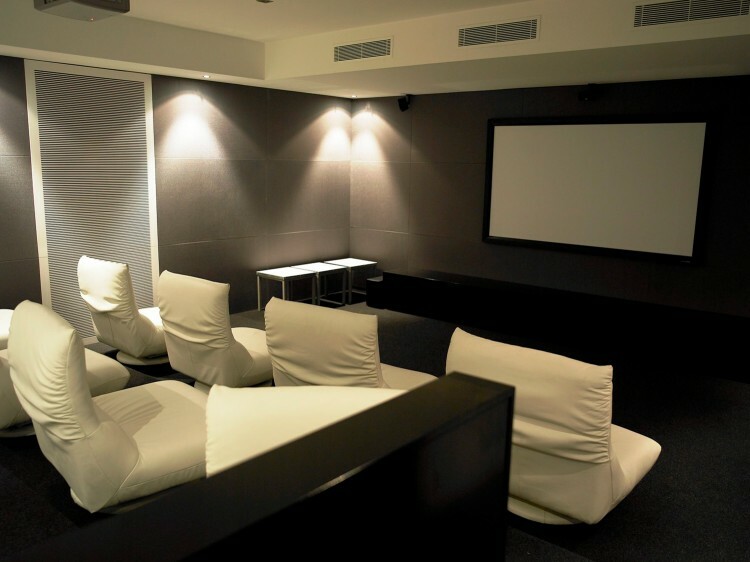 Ultra Broadbeach comprises of 1, 2 and 3 bedroom luxury apartments in central Broadbeach. 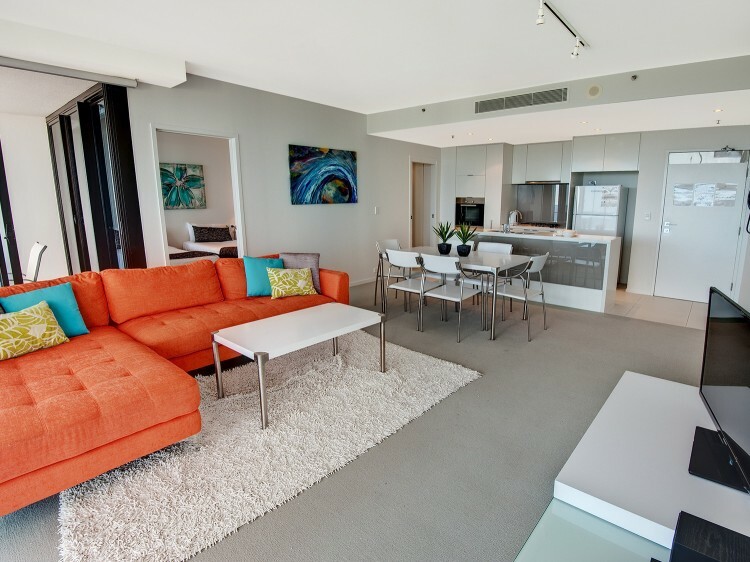 Overlooking some of the Gold Coast's most beautiful parks, beaches and just a short stroll to the Gold Coast's most contemporary cafés & restaurant precincts, Ultra is the perfect choice for your beachside getaway. Stylish landscaping and water features surround the resort creating a serene and tranquil environment. The sophisticated and spacious fully self contained apartments all feature shuttered east facing live-on balconies leading off the open plan living, dining and kitchen area. Tastefully furnished and finished with quality European appliances, these superior apartments are ideal for couples, families or the astute business traveller. 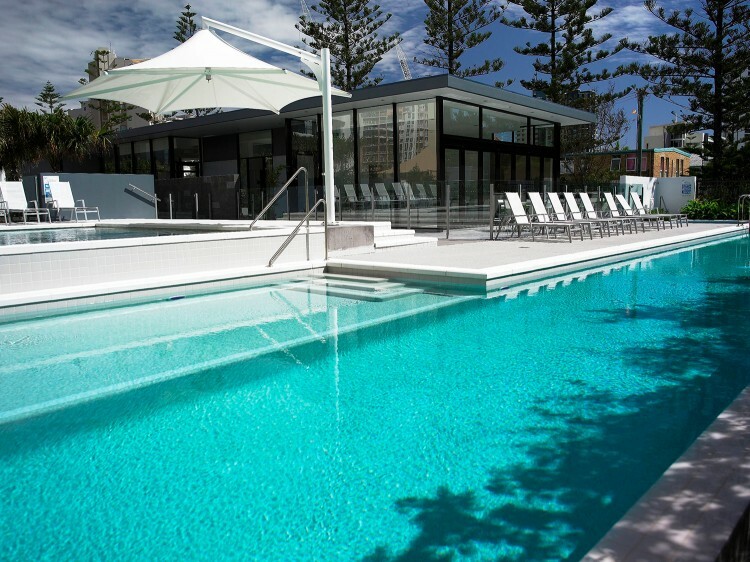 When you’re not enjoying the many attractions the Gold Coast has to offer take a swim in the resorts lap pool, entertain with a poolside BBQ, play a game of tennis or hit the gym, watch a movie in the private theatrette or unwind in the steam room and sauna. Ultra offers free WiFi and secure undercover parking to all its guests. This central Broadbeach location is only a short stroll to the CBD and alfresco dining. Also located within easy walking distance is Pacific Fair Shopping centre, patrolled surf beaches, The Star Casino and the Gold Coast Convention Centre. Ultra provides guests with the perfect balance of beachside relaxation and city sophistication. Features a large shuttered balcony with garden views, reverse cycle air-conditioning, fully self contained kitchen with European appliances, full laundry facilities, free wireless internet and plasma screen TV with cable channels. Features a large shuttered balcony with ocean views located above level 9. Includes reverse cycle air-conditioning, fully self contained kitchen with European appliances, full laundry facilities, free wireless internet and plasma TV with cable channels. Features three separate bedrooms with ocean views located above level 11. Includes a large shuttered balcony, reverse cycle air conditioning, fully self contained kitchen with European appliances, full laundry facilities, free wireless internet and plasma screen TV with cable channels. Luxury skyhome with three separate bedrooms, private balcony and high ocean views. Fully self contained kitchen with European appliances, full laundry facilities, reverse cycle air-conditioning, free wireless internet and plasma screen TV with cable channels. Restricted noise and party policy applies. A $200 credit card pre authorisation ($500 for Skyhome bookings) will be asked for at time of check in to cover any incidental charges (c/c must belong to the person who is registering). Alternatively a $500 cash bond is payable upon check in. $1000 applies for all bookings during Schoolies period. Christmas Arrivals / Departures - this resort does not accept arrivals or departures on Christmas Day. Non-Smoking Resort - smoking is not permitted in apartments, balconies or any common areas. No Party Policy - as the resort is a mix of residential and holiday guests, there is a No Party Policy and 9pm noise curfew which is strictly enforced. Schoolies - please note that this property does not have any policies, procedures or resources in place to accommodate the unique needs of school graduates during the annual 'Schoolies Week' period. It does not have adequate resources to engage qualified security personnel to guarantee the safety, comfort and convenience of school graduate guests during this period.